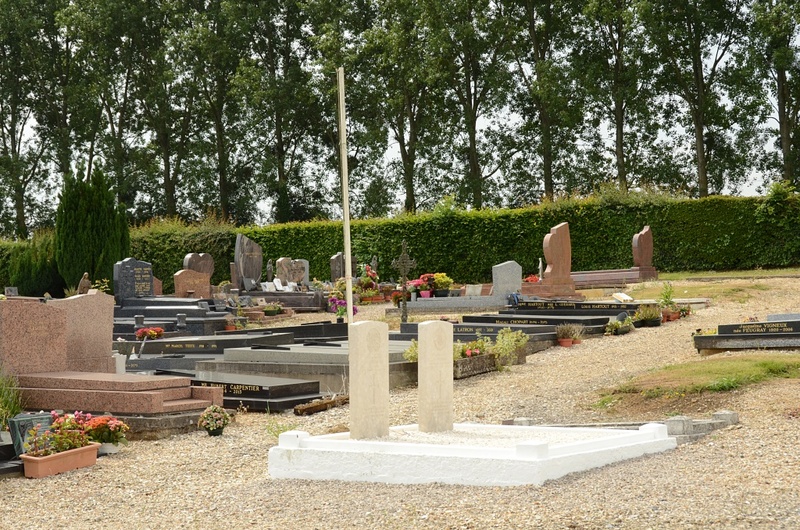 St Martin-Osmonville is a village and commune 30 kilometres north-east of Rouen, on the N28 Rouen to Abbeville road. St Martin-Osmonville Communal Cemetery is on the south-east side of the village, and on the south side of a small road connecting the N28 road with the Buchy road, D41. 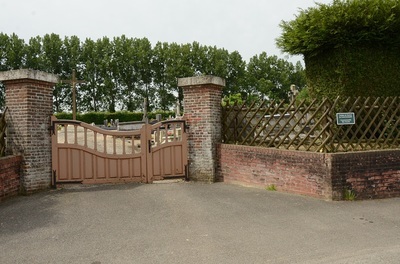 In the centre of the cemetery is a crucifix, and 5 metres south of this are the graves of 2 British soldiers. 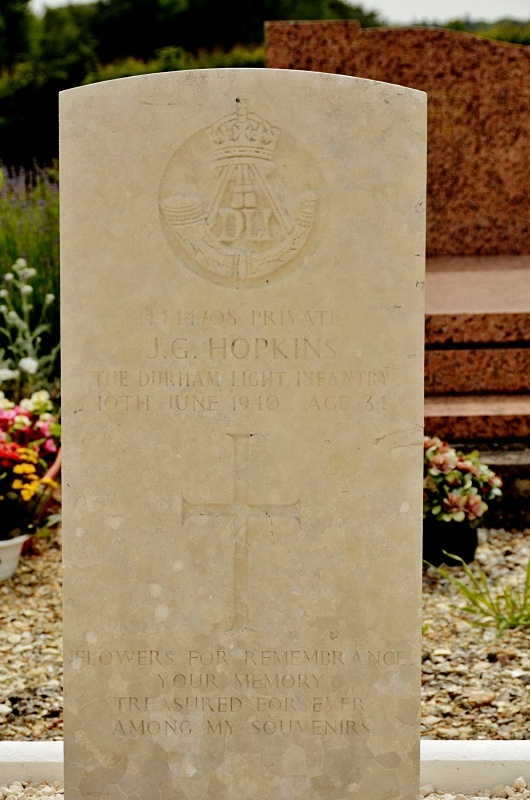 4444708 Private Joseph Griffin Hopkins, Durham Light Infantry, died 10th June 1940, aged 34. Son of George and Mary Anne Hopkins; husband of Nellie Hopkins, of Windynook, Gateshead, Co. Durham. 6288936 Private Frederick George Shepherd, 2nd Bn. 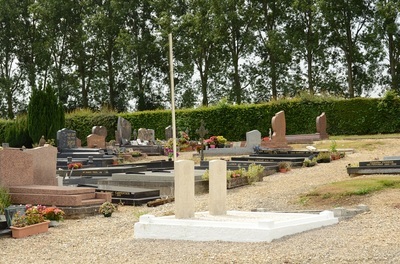 The Buffs (Royal East Kent Regiment), died 9th June 1940, aged 21. 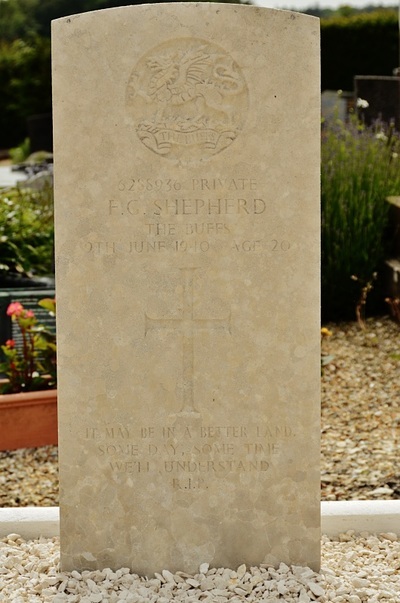 Son of Walter Henry and Sylvia May Shepherd, of Davington, Faversham, Kent.